Quantity: 14 available Want more than 14? 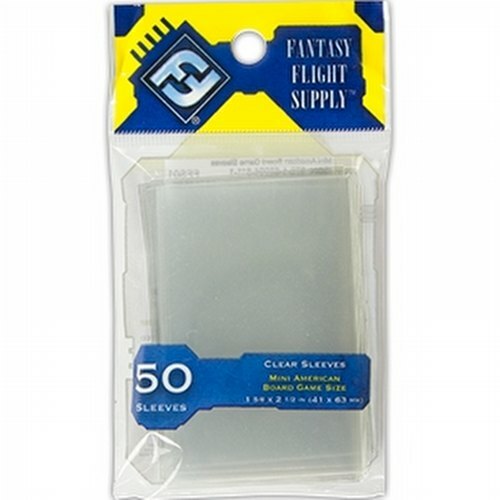 Contains 50 board game sleeves. Sleeves measure 41 x 63 mm (1 5/8 x 2 1/2 inches). 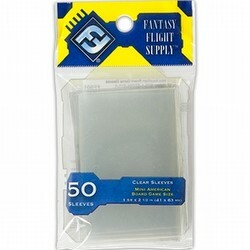 These sleeves fit cards from board games such as Arkham Horror, Twilight Imperium, World of Warcraft: The Board Game, Red November, Cave Troll, and others.